Microsoft adCenter is the third largest Search advertising platform in the United States behind Google and Yahoo, and services about 10 % of US traffic. At this scale of traffic approximately 1 billion events per hour, amounting to 2.3 billion ad dollars annually, need to be scored to determine if it is fraudulent or bot-generated [32, 37, 41]. In order to accomplish this, adCenter has developed arguably one of the largest data mining systems in the world to score traffic quality, and has employed them successfully over 5 years. 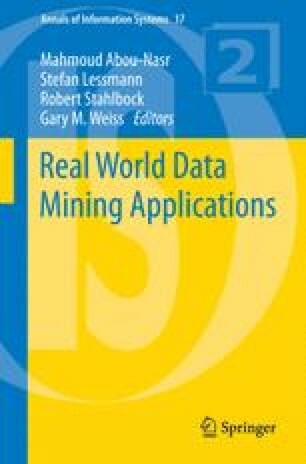 The current paper describes the unique challenges posed by data mining at massive scale, the design choices and rationale behind the technologies to address the problem, and shows some examples and some quantitative results on the effectiveness of the system in combating click fraud. We would like to thank Raj Mahato, Albert Roux, Ron Mills, Brandon Sobottka, Matthew Rice, Sasha Berger, Jigar Mody, Dennis Minium, Kamran Kanany, Tudor Trufinescu, Dinesh Chahlia, Ken Pierce, Hank Hoek, Tao Ma, Karl Reese, Narayanan Madhu, Dimitry Berger, Rageesh Maniyembath, Meena, Joseph Morrison, Kiran Vemulapalli, Anthony Crispo, Matthew Bisson, Igor Chepil, Matthew Ford, Sachin Ghani, Amjad Hussain, Steve Marlar, Bill Morency, Gerry Moses, Steve Sullivan and many others.